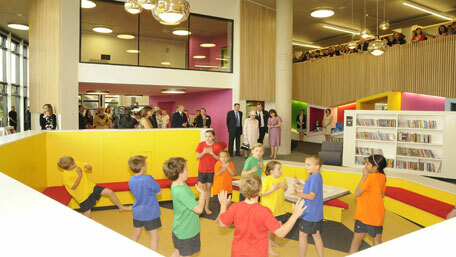 The Queen officially opens the Hive, Europe's first fully integrated and jointly run university and public library. On July 11, the Queen opened the new £60million library and history centre in Worcester, a joint venture between the University and the County Council to serve the county’s population of 550,000 residents and 10,000 students. The landmark project, a decade in the planning and with a stunning visual impact on the cityscape, is the first such extensive collaboration outside the US. The Hive brings together books, documents and archives from both organisations under one roof. It houses one of the largest children’s libraries in the country, affording the opportunity for children to grow up with the library, from infant to undergraduate. Staff from both the public and university libraries will work side by side, trained to deliver an extended range of services to all users from a combined stock. 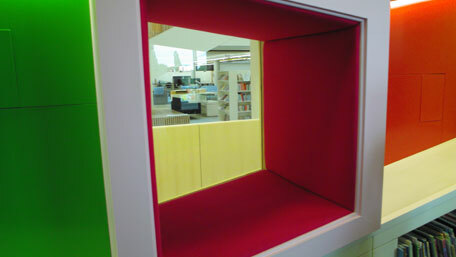 The library was designed by Feilden Clegg Bradley Studios, with interior furnishings designed and installed by Demco Interiors. A gallery of photos can be seen on the Demco website (follow link on the right). A slide show of photos on the Demco Interiors website.